While on my first weeks holiday in Wales I decided to plan ahead for my second week off and order a new piece of kit. As some of my readers may know I am an avid kayaker and love connecting with nature in various watery habitats so I have been debating about buying a standup paddleboard to use by the sea and on the river as I find my kayak does not allow me to easily move along the river. I paid about £250 for the kayak but as it arrived late and I had trouble with the delivery driver I got £25 back from the seller. 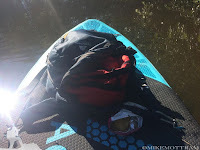 The board allows me to jump on and off the board when in shallow water or the river has a blockage this makes it easier to navigate these issues safely. 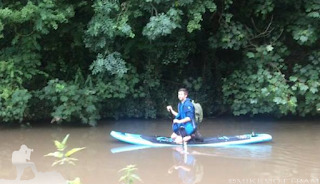 With a kayak it was tough to do the above as I would often find it took a long time to get out especially in waist height water. 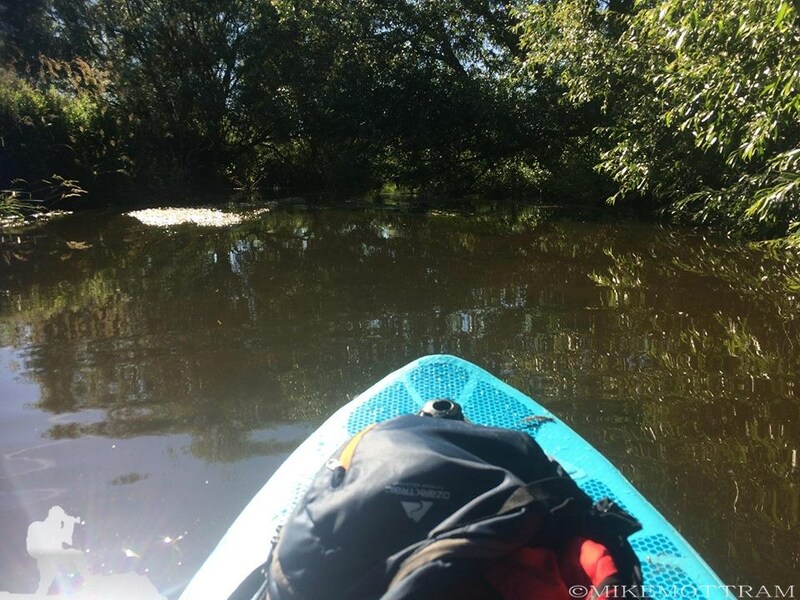 My kayak would also get full of vegetation and bugs falling from the trees and when squeezing through small gaps. I received my paddleboard and found an area on the river with some sandy areas with shallow water, deep areas with fast and slow sections of the river to practice. After a couple of practice days setting up and packing away and learning the weaknesses and strengths of my board, I thought it was time to take on a section of river I have wanted to do for a while. I ended up doing a section of river that flows under the M6 near Holmes chapel all the way down to a bridge a few miles downriver close to Middlewich. 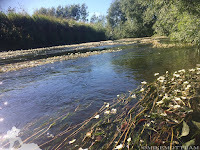 I ended up kneeling on the board as on some sections of river I had to lay flat to float under the low hanging willow. It took me a couple of hours as I had to navigate a few willow trees blocking the route as well as negotiating shallow sections of rivers. 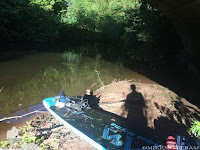 I also had a few fisherman to chat to and one did not even see me pass by as I was that stealthy I also took a phone call while paddling which was to say interesting trying to focus on direction and negotiating faster areas of water. It was a successful trip with a few wild encounters with Kingfishers and the health of the upper dane is stunning especially under the water as along the route I spotted some big fish which I think were 15lb barbel some in twos and most were not spooked as I floated by. Next time I know what gear I need and what I don't need it was interesting seeing so many peaceful spots covered by thick vegetation and when your a searcher of solitude like me sometime these spots are the only places I can relax with lots of wild areas closer to home being built on its certainly wonderful to find them. I'll be definitely taking an underwater camera of some sort to film under the water but I'll think it will be an early morning paddle next time to try and see if the Otters are out and about. Thanks for reading and next time I'll post about a few weeks I've spent on the coast as I finally got a photograph of a lovely little creature in unexpected location while looking for Marine Mammals.